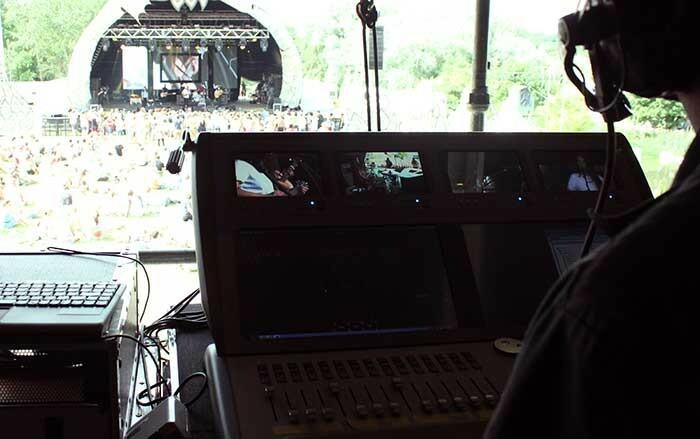 Avolites Media's industry-leading Ai Servers and Sapphire Media consoles have exhibited their flexibility and processing power handling multiple live input streams alongside playback of custom designed media content for this year's Secret Garden Party - main and second stages. Almost 30,000 revellers attended the popular independent music and arts festival in Abbots Ripton, Cambridgeshire, to see headliners including Faithless, 2ManyDJs, and The Ladykillers. Two Ai Infinity Servers with two black magic capture cards in each were stationed on the main stage (one for service, one backup) and controlled by the Sapphire Media console. A second Ai server was placed to serve the second stage. "The festival organisers wanted something different from the standard wall of LED screens," says design company Immersive's Ralph Lambert, who was in charge of all main stage visual media. "This year, we decided to experiment with showing multiple live camera feeds on different screens at the same time. 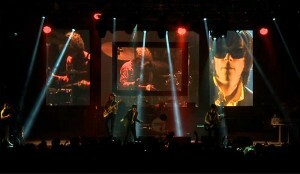 For the main stage area there were a multitude of cameras shooting different band members and feeding through to multiple screens at the same time. 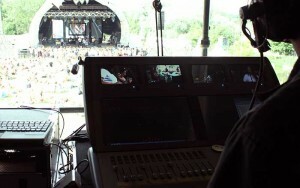 In order to operate this we approached it as a live camera show whilst having the option of simultaneously showing custom media content, which was either created by ourselves or provided by the artist. We essentially used the AI server as a video mixer but with the added scope and control that only a video server can bring." Some of the headline acts supplied Immersive with their own timecoded media a few weeks in advance of the festival kick off, but naturally a lot was done on the fly. The demand for these two different working disciplines was made possible due to the adaptability of the Ai Sever. "It was a very intense few days. We were dealing with so many different bands," says Lambert. "The Ai server was essentially taking care of content delivery to a brand new multiscreen, multi-camera install. Every day demanded a different in house install as well as a different install for each of the headlining artists. The console's 'Scene function' came in really handy. It meant that I could streamline a large amount of complex operations into an operable and understandable format. These direct access buttons or 'Scenes' enabled me to program the Ai server to create various different compositions that included multiple media sources being used alongside multiple live camera streams in a quick and efficient manner. "The second stage setup was great for visiting VJs who had not used the server before. We could line a selection of media sources up using the multiple capture inputs so they could utilise other VJs' content or content directly from the server together with their own performance." The Guardian called Secret Garden Party 'stunning': "This is the ultimate party, contained in a fantastical setting oozing magic, otherworldliness and ingenuity." Secret Garden Party took place in late July. Early bird tickets for next year's event are now on sale.